The Olean City School District will be hosting a special celebrity Sunday and Monday. WBFO's Focus on Education Reporter Eileen Buckley says the event is designed to encourage students not to use a derogatory word. Megan Bomgaars from A&E's Born This Way. One of the newest reality television shows on the A&E channel is "Born This Way" featuring people with Down Syndrome. One of its cast members, Megan Bomgaars, will appear at a St. Bonaventure Women's basketball game this Sunday. The Bonnie women's team has partnered with the Unified Sports Team that is run through Olean Intermediate Middle School. Angela Mest is a Special Education Life Skills teacher at the school. "Unified Sports pairs students with and without disabilities on the same sports team. The women's basketball team at St. Bonaventure has been part of this program since it started four years ago," explained Mest. Bomgaars will continue her Western New York visit on Monday at the Olean Senior High School. 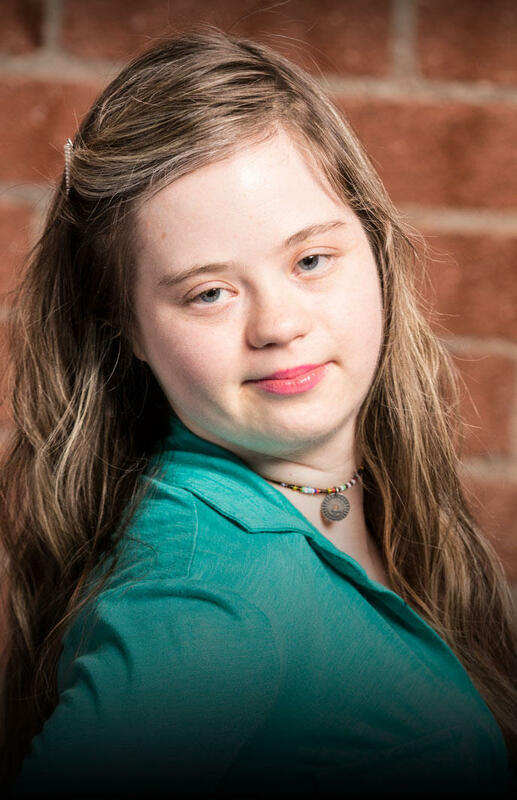 She will be working to spread a powerful message as the school District recognizes a national campaign called "Spread the Word to End the Word". "An initiative to stop the derogatory use of the word retard. We did a huge event here last year," said Mest. Bomgaars is a self-advocate for Down syndrome. She created her own video called "Don't Limit Me" and travels across the U.S. to provide inspiration and educate the public.